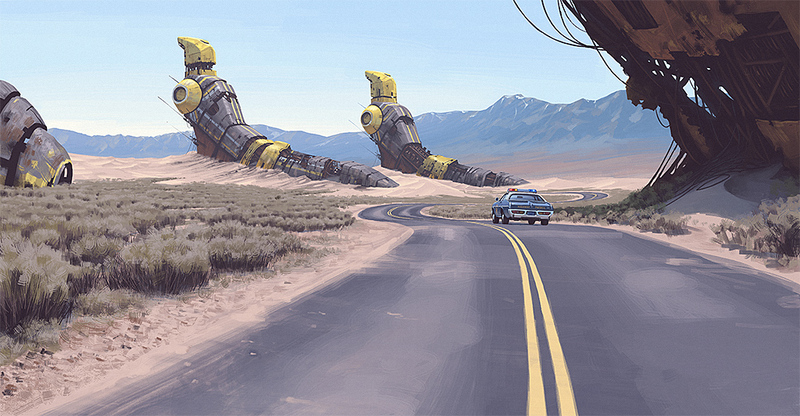 Almost as an extension of last week’s theme of exploring the art of subtilty, this week I want to introduce you to Swedish artist, Simon Stålenhag. Simon works as a concept designer and is the author of Ur Varselklotet (2014), also known as Tales from the Loop, a wildly successful crowd-funded project that takes readers on a dystopian journey through various landscapes in Sweden and Nevada to the icy cold of Siberia where children explore and play with abandoned robots, vehicles, and alien-looking machinery. 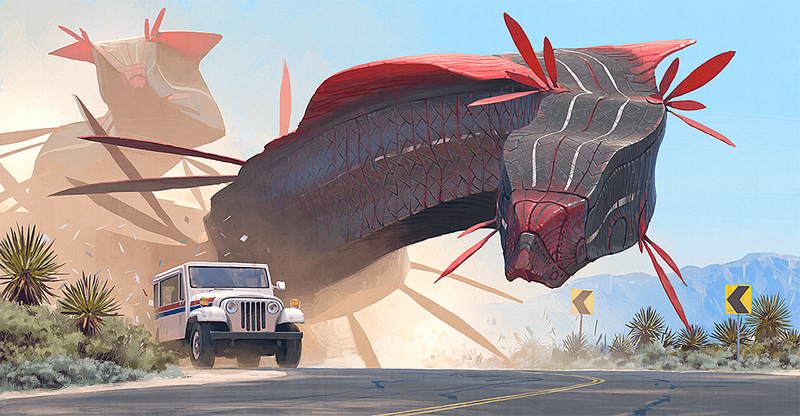 It even has dinosaurs and other weird creatures roaming the roads and forgotten fields. 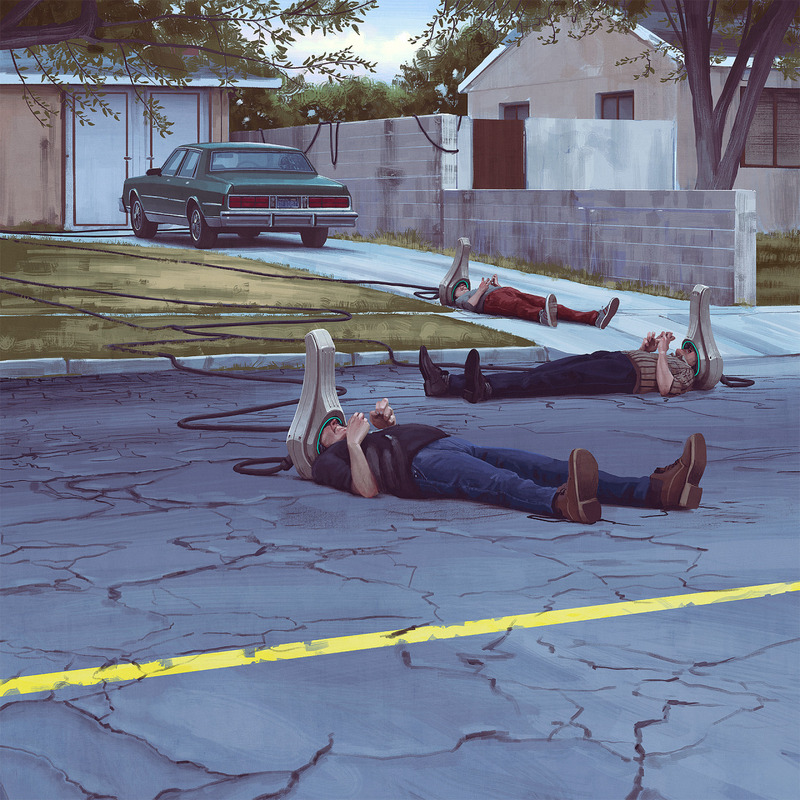 Simon is best known for his highly imaginative images and stories populated with science fiction elements against the backdrop of hyper-realistic Scandinavian landscapes. Ur Varselklotet was ranked by The Guardian as one of the ‘10 Best Dystopias,’ at the time of its release and even compared it to works of Franz Kafka’s The Trial and Andrew Niccol’s Gattaca. Today Simon is considered the go-to storyteller, concept artist and illustrator for both the film and computer gaming industry, and you can see more of his work in the film Searching for Sugarman (2012), directed by Malik Bendjeloull, and in the game, Ripple Dot Zero (2013). Below is a small collection of his work. Each image links back to the site of origin. Enjoy! As with Jakub Rozalski, Simon’s approach is somewhat similar in that his paintings tell a story through the lens of realism. 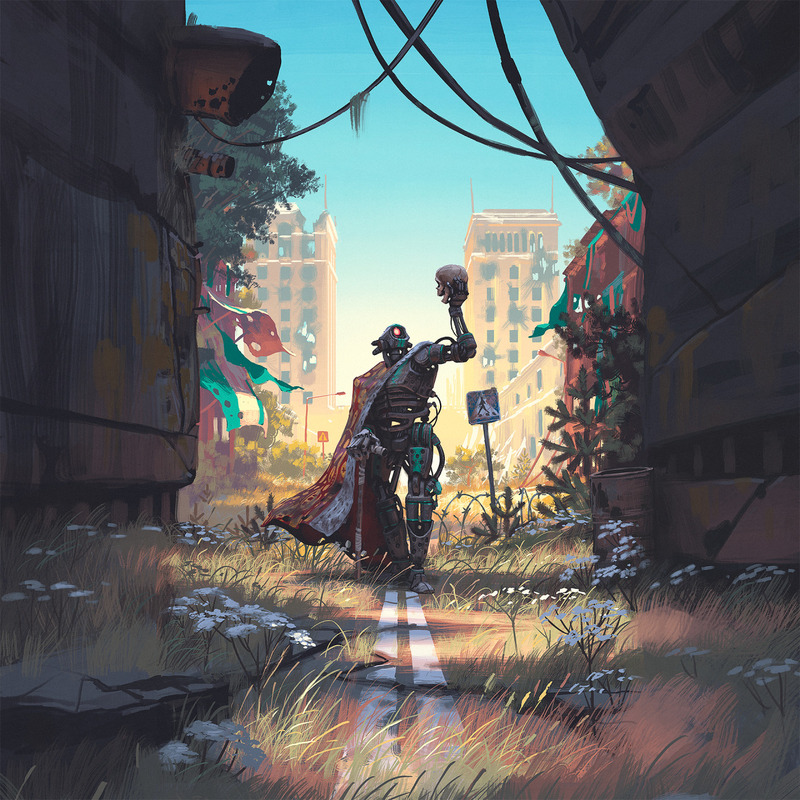 His paintings are snapshots of a dystopian Earth where ordinary people live alongside spaceship wrecks and robots and morphing alien organisms, and they are simply brilliant. Your turn! Tell me what you thought of today’s artist in the comments section below.